Living on the “North Coast” of the U.S., one has the tendency to contemplate Lake Superior. Every day the lake seems to offer up a different mood, a different palette of colors and textures. The lake also holds many stories. I have been working with the Maritime Museum for the past several years as they update and create new exhibits to tell the stories of ships on the lake, and the history of Lake Superior shipping as it relates to our world, country, region and city. 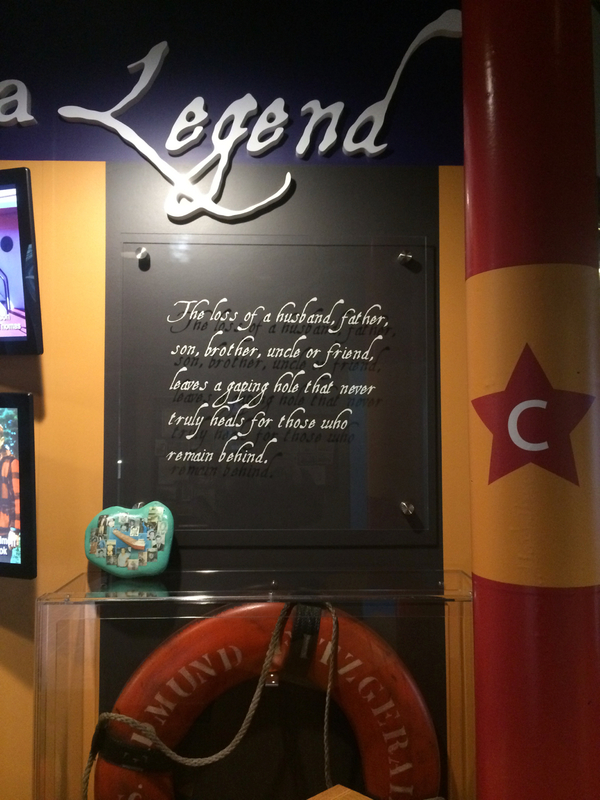 Most recently, HotHouse designed the new exhibit on the Edmund Fitzgerald, with photos featured below. 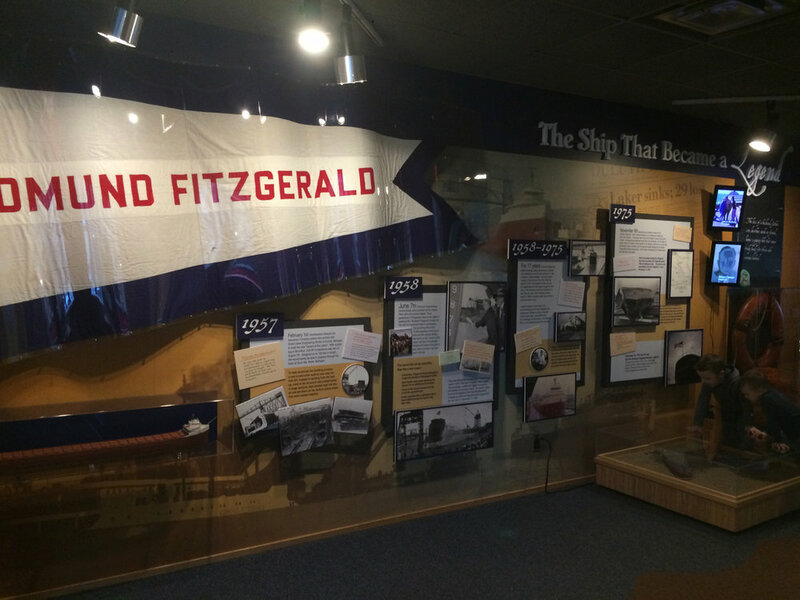 Prior to that, we designed an exhibit about WWII vessels that are still being used on the Great Lakes today. And before that, we were lucky enough to design an interactive exhibit about lighthouses on Lake Superior, collaborating with artist/sculptor/builder Gordon Manary on the 3D design of an interactive cabinet to display artifacts, engage younger visitors, and allow people of all ages to touch a smaller model of a lens. I absolutely love working with the folks of the Duluth Grill Family of Restaurants, which include OMC Smokehouse, Corktown Deli and Brews, and now Taco Arcada! This family-owned group of restaurants is setting the bar for delicious, local, hand crafted food not only in Duluth but regionally and nationally as well. They are creative, ambitious, and they understand the connection of local farmers and food to our health and the economic sustainability of our communities. Plus, they are helping to revitalize and celebrate the Lincoln Park neighborhood of Duluth. I was honored to design the logos for OMC Smokehouse, Corktown Deli and Brews, and now Taco Arcada. I was presented with the challenge of “an astroids-style logo” that communicated the restaurant concept: Fresh-Mex Meets Eighties-style arcade. At last, the logo versions are finalized. Cheers to the Duluth Grill Family of Restaurants for helping to keep Duluth cool! That was a play on words, by the way, because Duluth is a very cold place to live. Pantone has chosen their Color of the Year for 2019, Living Coral. This bright, warm shade of pinkish-orange has been a favorite of mine these past few months, so I have to give Pantone their credit. Nice job, Pantone. This luscious color, along with the extraordinary generosity of many people in my life, inspired this hand painted Thank You note I made a few months back . This post is mostly in pictures. I have drawn so much inspiration from little moments in life that unfold suddenly and capture the imagination. Sometimes I have been able to catch these moments as they fly past. Here are a few images of seemingly mundane moments that have revealed their hidden beauty and have made their way into my art/design work. I just wrapped up a flurry of newsletter projects and it caused me to pause a moment and reflect on how the printed newsletter is still an effective way to keep an organization’s audience engaged. Specifically, for organizations whose livelihood depends on the tourist season, a print newsletter is a meaningful communications piece that can keep the organization visible to it’s audience during the off-season. The cost is kept down by designing a template at the outset of the newsletter design process, and simply updating it quarterly or annually with new articles, photos, and other information. The organizational brand is maintained because the look remains consistent, and it makes the content-writing process easier when the design is already established. Two of my clients have been using the same templates I designed for them over eight years ago, and they still look fresh today. They feature coupons, articles, important contact information, fundraising calls-to-action, and photos that change throughout the year. Printed newsletters are still alive and well, and effective! Who do you know who could use a unique gift for the holidays? This week, in honor of our 10th Anniversary, we are launching the HotHouse Shop on redbubble.com. I grew up with a love of apparel design, studying it for one semester in college. I thought it would be a really fun side project for HotHouse to design patterns and artwork that could be set up for on-demand apparel and home decor items such as dresses, blouses, t-shirts, and pillows. I plan on adding fresh designs throughout the year, so check back often. This week, we are breaking out the bubbly and tooting our party horns, because HotHouse is turning 10 years old! It has been an adventure with plenty of opportunities to learn and grow. We have designed wall-sized artwork for museum exhibits, produced web videos, TV ads, an infomercial and a 3-year long documentary video project. We have designed logos, many logos, and developed public awareness campaigns that spanned the web, the highway, TV and print. We have worked with amazing people, made many friends and creative compadres, and have been fortunate to work with organizations who are doing great things. In honor of this momentous occasion, we are starting up something exciting here at HotHouse. 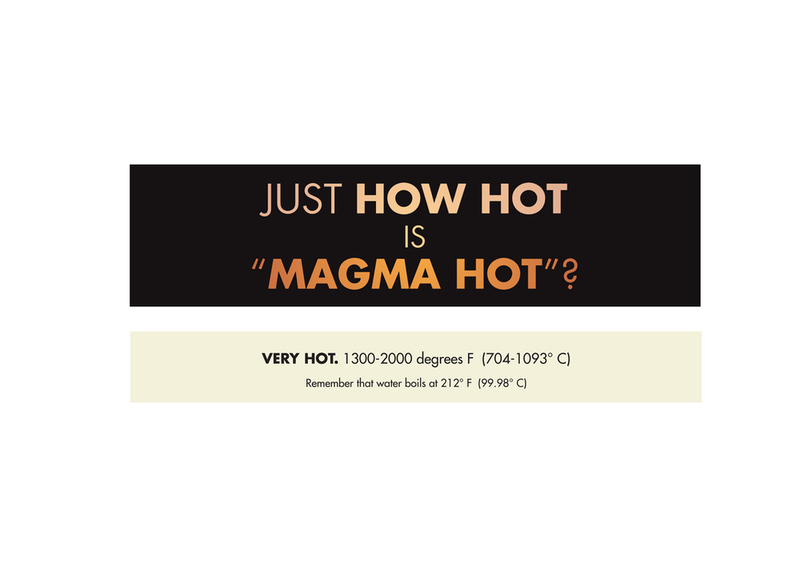 This week we launch the HotHouse Shop on redbubble.com. 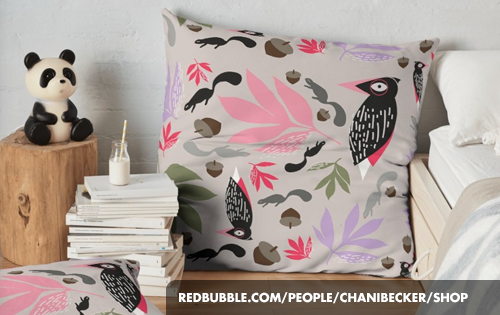 You can visit the shop at https://www.redbubble.com/people/chanibecker/shop. Exciting! I’ll write more about it in the next post. I have been working on several pattern design projects over these past few weeks. 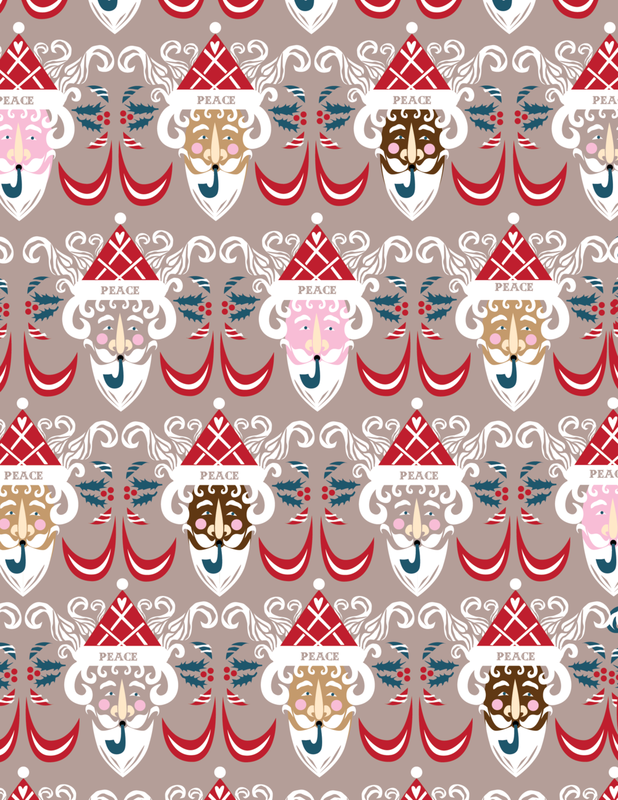 Just for fun, I joined an online design challenge of designing a vintage inspired holiday pattern that could be used as a holiday card. The result? Mustachioed Santas. Interested in purchasing a holiday card using this pattern? Or, wear the pattern to your next holiday party? We are currently setting up our online shop where you can purchase items using this pattern, and many other HotHouse original designs. Stay tuned for more info. We just wrapped up these three illustrations for Corktown Deli and Brews, a mouth-watering sandwich shop and taproom in Duluth, MN. 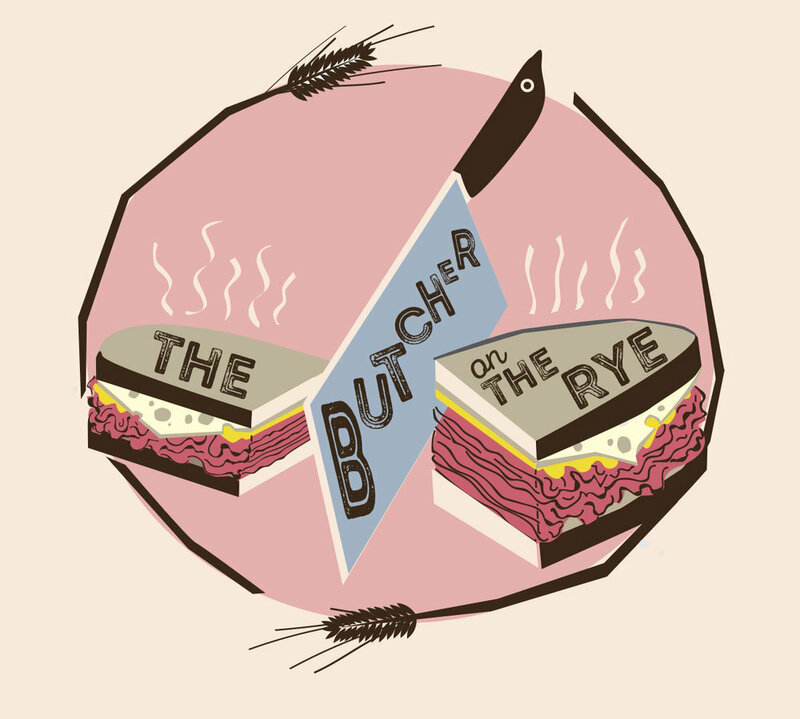 They asked me to illustrate their three most popular sandwiches: The Porcine Princess, The Knuckle Sandwich, and The Butcher On The Rye. The artwork will be used on the Corktown Deli t-shirts and perhaps in other ways as well. Handcrafted sandwiches deserve handcrafted art. Yum! The Duluth Grill recently unveiled their new T-shirt and Sweatshirt designs to their loyal following of customers to rave reviews. 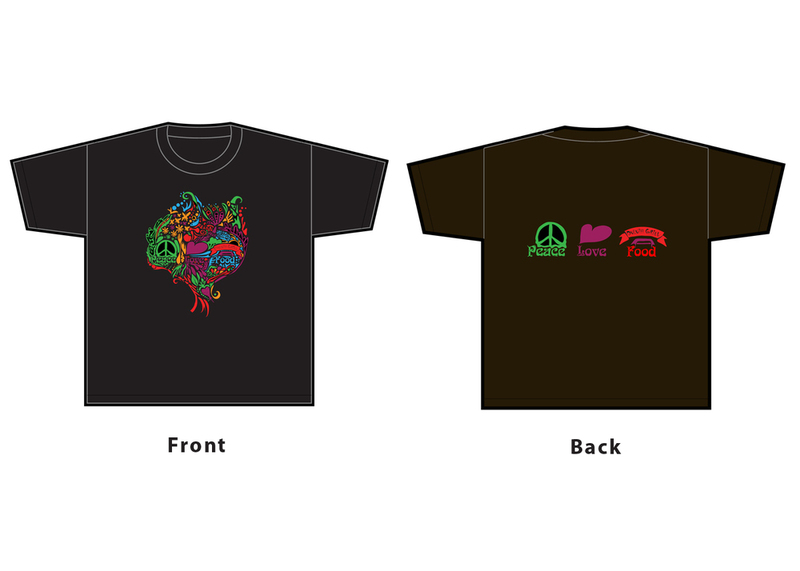 Chani Becker of HotHouse Design was thrilled to have the opportunity to hand draw the illustrations for the shirts. Upon seeing the design, the Duluth Grill decided to use it as their new logo! Great Lakes Aquarium launched their latest and most ambitious exhibit, "Shipwrecks Alive!". The exhibit explores what happens to ships after they sink and the wildlife that develop around the wreckage. Using three shipwrecks around the world (the Great Lakes, the Pacific Ocean, and the Mediterranean Sea), the exhibit explores how different water conditions effect the ship structure, how humans explore these underwater landscapes, and how wrecked ships effect the environment around them. Along with the Aquarium staff, many artists, including lighting designers, scenic designers, and sculptors worked to bring this exhibit to life. Chani Becker of HotHouse Design & Post designed all of the interpretive signage in the exhibit, the logo and marketing materials, and other special pieces for the exhibit - including a 40 foot wide photo mural wall and the overall layout of the SCUBA history wall. HotHouse recently produced two ads for non-profit organization Generations Health Care Initiatives, urging Duluthians to sign up for affordable health coverage. One ad was specifically targeted for the local week-long Homegrown music & art extravaganza audience (and features the Homegrown chicken), and one ad was geared to a general audience. Chris Monroe created the artwork featured in the fundraising poster designed by HotHouse Design & Post. I was definitely one of those kids who benefitted from the art curriculum in my public school when I was growing up in Madison, Wis. I loved painting, drawing, learning other skills like photography and the darkroom process, and eventually I graduated from High School and went on to study art, design and filmmaking. But even for kids who don't self-identify as "artists", Arts & Media education are crucial to their education. Art making develops critical thinking, focus, creative problem solving, engineering, design, and communication skills. The list goes on. So, when HotHouse was asked to design a poster to advertise a fundraiser for art education in the Duluth Public Schools, I was eager to say "heck, yes!". The poster features artwork by Chris Monroe, who donated her talents to the cause. The event raised over $3,000 for the Duluth Public Schools Art & Media curriculum. This past summer, Great Lakes Aquarium opened their newest exhibit "Fire, Ice and the Rise of Life". This exhibit brings visitors to the Lake Superior region from the beginning of life on earth to present day. The show features live coral, nautilus, fossils, a very impressive turtle, and a fossil cast of a dunkleosteus skull. HotHouse was lucky to work with the Aquarium on designing an overall look for the exhibit's interpretive signage, as well as the logo for the exhibit itself and the exhibit's marketing pieces. A what ? 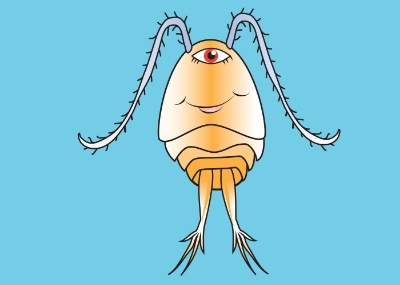 A Copepod! These small marine crustaceans play a very important role in the marine food chain, serving as food for a wide variety of fish. I learned about these creatures while working with Great Lakes Aquarium on what I call the "Magnet Board" project. The project involved illustrating over 20 creatures, including animals, plants and microscopic organisms. Copepods, turtles, fish, and shrimp! Logs, rocks, aquatic plants and otters! You can see some of my favorites here. These illustrations are to become magnets, die cut into custom shapes. They all fit onto a large backdrop portraying the natural landscape, specifically a cross-section of a lake, where most of the action takes place. This is all a part of the Aquarium's Gitchee Gumi Connection - an interactive video conferencing program that connects classrooms around the state to the Aquarium - offering Lake Superior-based environmental educational programs. Algae. They need sunlight to synthesize their food, hence the sunglasses. The Mysis Shrimp is a very tiny, translucent creature yet has six sets of legs, and a mustache to inspire envy! 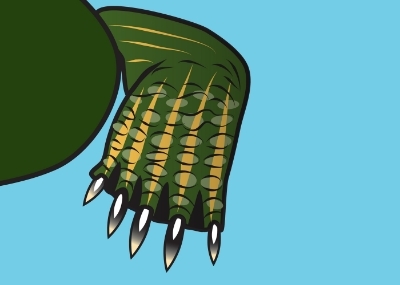 I was happy with the way this turtle foot turned out. This summer, Chani Becker (of HotHouse Design & Post) teamed up with friend Jill Ellen Hall, (creative powerhouse behind Duluth's Semblesque Performance Co.) to create a series of ads for a competition held by Flora, Inc. a company specializing in top-quality health and wellness products. The ads were specifically for the anti-aging product "Floressence Rejuvenating Cream". Flora, Inc. scored the over-200 entries based on creativity and continuity with their brand, along with the number of social media "votes" each ad received during the voting period. Shortly after the online voting period ended, Flora, Inc. informed Becker and Hall that their "Crow's Feet" ad was the third place winner in the competition. "It was such a great experience working with Jill (Hall) again," Becker said. "We had such a great time, and it shows in the work we did. Our collaboration created something more than either of us could have created alone. Well, us and of course Edger Alan Poe." Becker and Hall first worked together in 2010 on a project called 3N6D: 3 Nights in 6 Dimensions, a performance art collaboration with photographer John Heino and musician Alan Sparhawk.